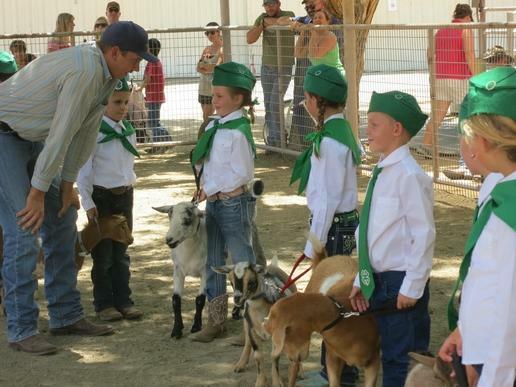 4-H is the University of California's youth development program. 4-H helps young people discover and develop their potential. This volunteer-led program has been providing educational and enrichment experiences in California since 1913. The Inyo-Mono Master Gardeners' mission is to share knowledge and experience with the public through outreach programs in education, horticulture, and gardening. The Inyo-Mono Master Food Preservers' mission is to share research-based information on food safety and safe food preservation. Master Food Preservers provide education through workshops, demonstrations, and outreach throughout Inyo and Mono counties. County Farm Advisors oversee the University of California Cooperative Extension offices, including the 4-H and Master Gardener programs. The county Advisors’ work includes enhancing California agricultural productivity and competitiveness, improving food safety, protecting the environment and developing healthier families and communities.